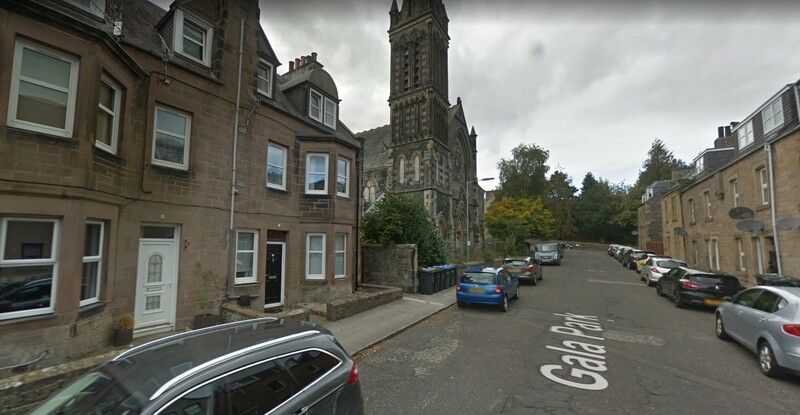 An historic Galashiels Church has been demolished in favour of 24 apartments for affordable rent in new plans filed with Borders Council by Camerons Architects and Cubby Construction. 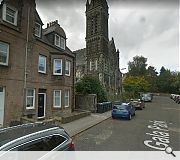 St Aidan’s Church on the junction of Gala Park and St Andrews Street had been earmarked for conversion under prior housing proposals but was subsequently demolished after these proved to be financially untenable. 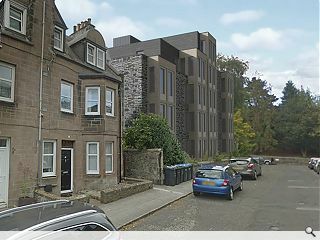 Now it is proposed to erect two ‘strong’ new build blocks in its place to reinstate the urban grain with a finish of stone, slate and metal in reference to the former church. Galashiels has been given a boost following completion of the Borders Railway, sparking new residential development. First paragraph says 'to be demolished', second says 'was subsequently demolished'. Which is correct? Either way, this is an outrage. Everyone involved in the decision to demolish this church should be ashamed of themselves. What in the hell is the point of planning and HES if they permit the demolition of a Listed building because it "isn't economically viable" for a developer to renovate? That's basically the developer saying we wont make enough profit, so we are just going to get rid of it. Maybe don't try to develop it in the first place then! I think the emotional language of 'destroyed' and 'bulldozed' is clouding the issue really. There has always been a vehicle to to demolish a listed building (SHEP) soon to be replaced by HEPS whereby pertinent facts would be considered holistically and a case would be made for retention or demolition. Som contributers seem to imagine that developers are all driving around in Ferarris and holidaying on Necker Island. It is far from reality. In general, so long as there is a tiny residual value attached to the existing building, there is an opportunity to make profit from conversion / refurb, however the profit margins are always significantly less than new build. If the existing building is in poor repair or is of a use that it is fundamentally incompatible for conversion, there is often a zero profit margin. I know of many conversion jobs where the rebuilld value is 3 times the GDV. None of that makes any commercial sense. HES and local authorities will take a pragmatic view on the case for retention or demolition of historic / listed buildings, in the absence of the 'listed building Santa Claus' arriving with a big sack of free money. 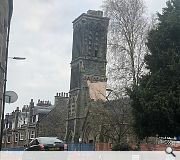 The other option is for the buildings to be left to rot away or be set on fire by the local arsonists, get listed on the buildings at risk register and the after being an eyesore for 30 years, get demolished at cost to the public purse (note that very few buildings like this are insured anymore for rebuild or even for demolition). So, unfortunately there is a rational case to demolish buildings that are not economically viable for refurb / conversion. Developers need to be able to make a profit and they would need to be completely 'open book' with HES and the Local authority in the viability testing. there is an inherent inequality here which flows from the situation WD describes at post #9. for less desirable locations, historic buildings are far less likely to be financially viable conversion opportunities. this means that whilst there may be no difficulty converting a quality building in Morningside or in Glasgow's West End, elsewhere, particularly in our small towns for example, or poorer areas, and especially outwith urban commuter distance, the market simply isn't there for a high end conversion, and these areas disproportionately lose their historic buildings of quality. this factor influences decisions throughout the development/ planning sector (decisions on materials are a great example of this, you can also see it in the appointment of architects, and the rates they charge). without radical state intervention, the market dictates that nice areas get nicer, and less attractive areas simply get worse. #10 Correct. If you are converting / refurbing a listed building in the new town or a listed building in the borders - the £/m2 build costs are roughly the same, but the £/m2 sales prices are miles apart. Good points, well made. It's a bit of a tragedy really, that I suspect will be repeated increasingly more often. 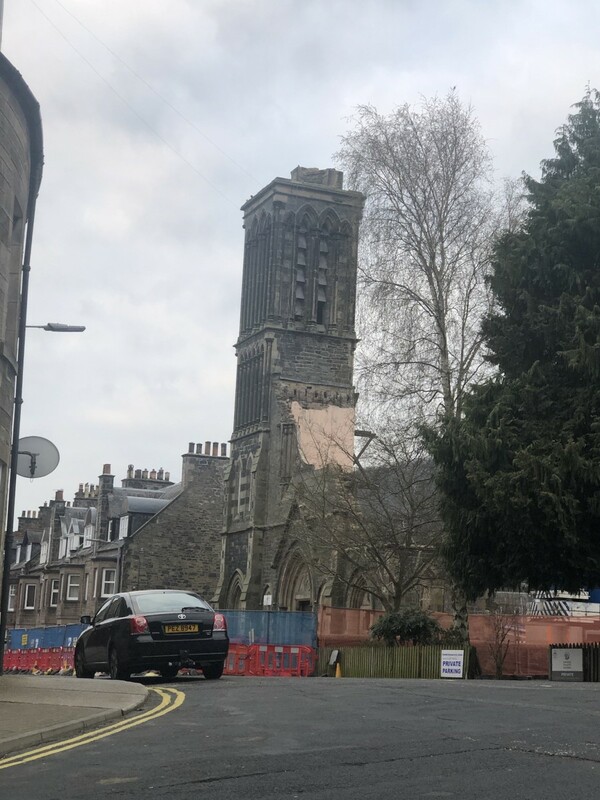 A reader sent in the above photo of the church as things stood on Friday 12 April. Demolition began on 13 March.